Getting adequate minerals in our diet today can be challenging, yet attaining the optimal form and properly assimilating our minerals is key. Why does calcium have such a bad reputation in the supplement business? Because most of the calcium ‘fibromyalgia supplements’ on the market today are made with materials that are foreign to the body. Not only are they foreign to the body but can also be downright dangerous, especially to the cardiovascular and elimination systems. We might decide to just depend on calcium from a healthy diet and for some people that may be adequate, but for most people it’s going to be difficult to attain calcium and it’s benefical co-factors from food alone, especially for those dealing with any bone density or malabsorption issues. A fibromyalgia supplement for calcium will likely be required. In the short video below, Lisa talks about why calcium gets a bad reputation. 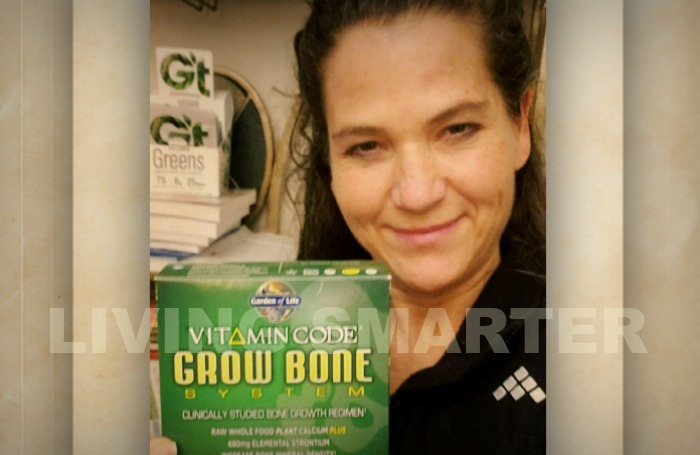 And What About A Vitamin K Fibromyalgia Supplement? That is why many of us will benefit from an additional vitamin K fibromyalgia supplement to be sure that the calcium we take in is going to all the right places. Vitamin K also has the ability to reduce body stiffness, making it another good remedy for fibromyalgia and osteo issues as well. As we age, a vitamin k deficiency can lead to vascular and bone density issues. This is especially important for women during and after menopause. Green vegetables contain vitamin K1, however this form is hard for the body to absorb due to being tightly bound to plant fiber. 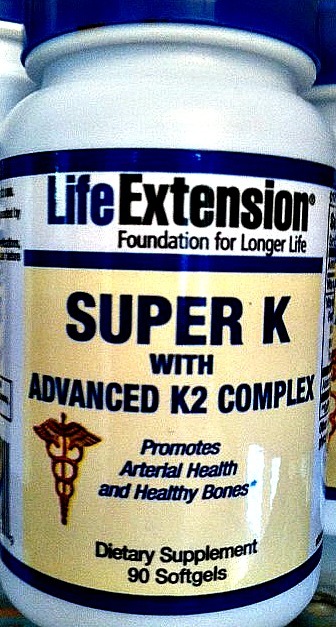 Vitamin K2 has been shown in human studies to be up to 10X more bio-available than vitamin K1. Vitamin K2 is found in meat, eggs and dairy and yet is also manufactured within our gut. I do believe this may be of special importance to people with fibromyalgia and the associated cardiovascular symptoms. Please Note: Due to the blood thinning quality of vitamin K, it is best to use precaution when taking vitamin K and always check with your doctor or naturopath prior to use. However, users of the drug warfarin could benefit from a consistent low dose of vitamin K2 (45 mcg. per day) in the long acting MK-7 form in order to protect the body against vitamin k deficiency. I have found that although there's a few quality supplement brands on the market today, not every manufacturer succeeds at having the best of each individual supplement. Therefore, it can be prudent to not depend on one particular brand for all of our supplement needs. Also, it's important to remember that a 'supplement' is just that, it is supplementing our diet, not taking the place of, so if we are getting half of our daily requirement of calcium from our diet, then we can think in more cost effective terms, and simply take half the dosage suggested .. and yet still have the extra insurance we need from a safe and reliable source.. The best form of calcium is one that is easy to absorb and assimilate and combines a few of the necessary co-factors. This raw calcium is made from food and natural nutrients, not from rocks, chalk or sediment. And, includes the necessary co-factors magnesium, strontium, boron ,etc. 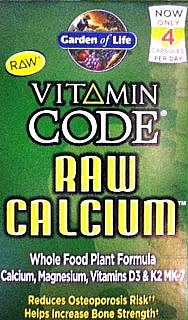 Now, you could stop there and enjoy the benefits of a raw calcium with it’s essential co-factors and a small dose of vitamin K included here as well, yet for some people, the amount of vitamin K in this raw calcium will not be enough. So although we are getting the safest form of calcium, we may also need to add in a more potent form of vitamin K.
Other ingredients : extra virgin olive oil, gelatin, glycerin, beeswax, purified water, carob color. Along with quality calcium and vitamin K, we want to be sure we are protecting our bone density in other ways as well .. Strength training is recommended for everyone, especially as we age, however with the addition of fibromyalgia and/or any chronic illness, this may be a challenge. Check out the fitness pages (Fibromyalgia Exercise) here on the site as we continue to bring information on working out safely and effectively with fibro and osteo conditions. Both our lymphatic system and our skeletal system need a certain amount of healthy force exerted on them daily to help keep them strong and agile. Also check out our article on Vitamin D and ways to attain superior absorption of this critical nutrient/hormone.